What is ‘Branding’ – And Who Does it Best? Never has our industry (media/advertising/filmmaking/photography) been in such a time of such radical change. The influx of streaming services and new ways to distribute channels, amazingly talented storytellers, and an incredible array of content – and not just content, but GOOD content. So, in this world where everyone is competing for eyeballs and attention, with really good products, how can you (or your client) stand out? One big and very important way is through branding. In this post, I’m going to talk about brand, and the importance of having a strong brand in the current media landscape. It’s critically important – and could ultimately determine you and your clients’ success…or failure. So if you’re reading this and thinking “why should I care about branding? That’s just for the Coca-Colas of the world!” well let me help answer that question. Every single storyteller, filmmaker, director, writer and creative should care deeply about branding. Yes, there is a degree of “marketing blah-blah” when talking about brands, and ‘vision’ and mission statements, etc – and if you’re a solo filmmaker, it can feel very self-indulgent to talk about curating YOUR brand. But it’s critical. There is a TON of competition out there – thousands of filmmakers with easy access to the same technology all itching to tell stories and land clients. There are so many people there are out there doing cool stuff and sharing it across the web. But what can help set you apart is your brand. Branding and understanding your brand helps define your own style and sensibility – it gives you self-awareness and a vision for where you want to go and what work you want to do – and Clients who are looking to hire you love it when you have a clear brand vision for your company. (Trust me on this one) The best companies in the business and in the creative world are very well-branded and are masters of their own brand, and they get hired because of their brand and their ability to clearly communicate it and live by what they stand for. So it’s VERY critical. Arguably no industry has been more disrupted than media. 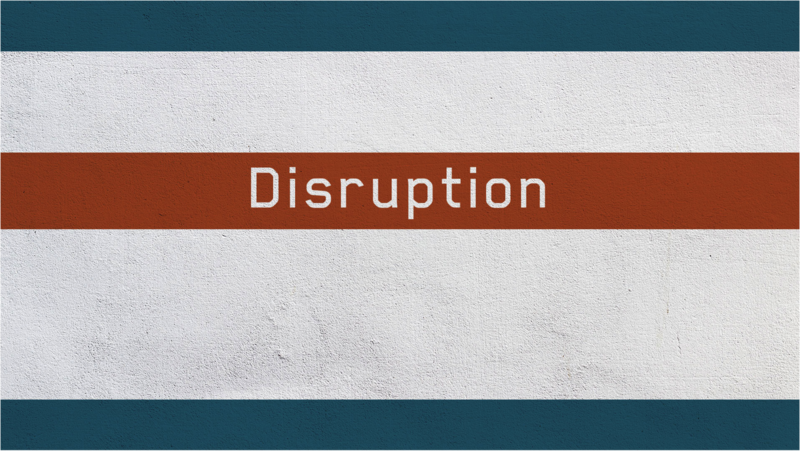 Constant disruption, destabilization and content overload in the last 2-3 years has forced huge changes in how we do business and get people to pay attention to us. Focusing on quality storytelling and visual experiences is key – a great story has a way of rising above the clutter. At National Geographic, those two qualities in particular are super important to us. And true to the Nat Geo brand, stunning visuals is another facet of our brand and one of the ways WE try to differentiate ourselves. Here’s a sizzle I put together with Nat Geo editor Brannon Shiflett that showcases some of the visuals that we captured last year for our promo campaigns. So, I’ve already written the word “Brand” quite a few times and yet I haven’t really even properly defined what brand IS, or what it means. So let’s put some foundation down about what a Brand IS. A brand, very simply put, is the sum of who you are or what you represent or stand for – and perhaps most critically, it’s how your CUSTOMER or VIEWER sees you. Brand is the essential truth or value you present. It’s the promise to the audience about what you stand for. But that’s different from Marketing. There IS a distinction between the two. Marketing is HOW you communicate your brand. A brand will help encourage someone to buy a product, but the brand does not explicitly say “buy me.” Instead, it says “This is what I am. This is why I exist. If you agree, if you like me, you can buy me, support me, and recommend me to your friends.” The brand is ultimately what determines if you will become a loyal customer or not. 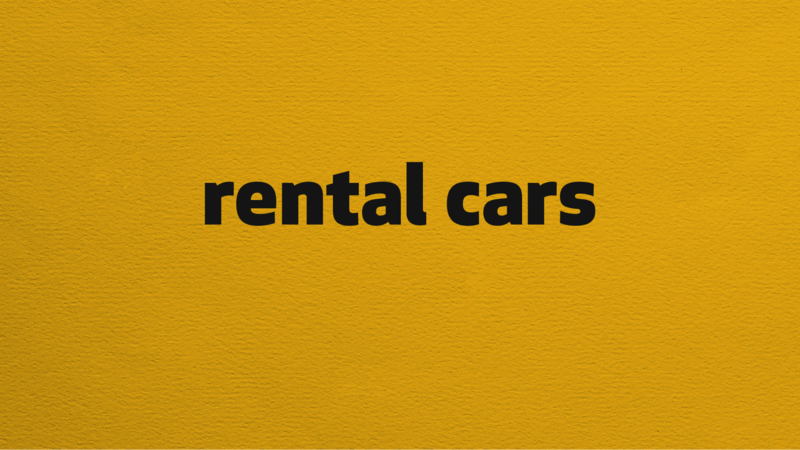 The marketing may convince you to buy a particular Toyota, but it is the brand that will determine if you will only buy Toyotas for the rest of your life. A brand is something that evolves and changes, and despite all of your efforts, sometimes the consumer is the one who allows you to shift and shape YOUR own brand. Perception is reality, especially when it comes to branding. Perception of your brand by your client/consumer is everything – but you can affect that perception. You are in control of building your own brand, and over time your brand becomes shaped and defined. What you want to do is shape your consumer’s perception of you by strategically and consistently living up to the brand promise you want them to feel about you every day. So I have a few examples of some pretty big brands’ work to showcase their brand and what it stands for – and usually, it doesn’t stand for the product itself or even explicitly sell something, but it’s more about what the product means to the consumer. We’ll start off with Guinness. This spot came out a couple of years ago, but it is such a great example of selling brand before product – and then showing how the two are one and the same. This spot, called “Made of more” clearly wants to say that “we’re a beer that’s more than just beer, we stand for something” and this spot shows that that something are big themes like friendship, dedication, loyalty. They also do a great job of wrapping in emotion, nostalgia, and hard work. It’s a very effective message. Don’t be fooled – they want to sell you beer. 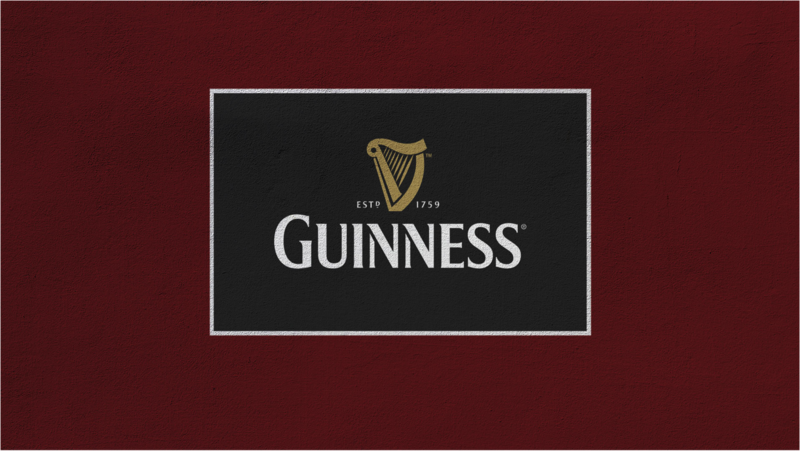 But they are not selling how great it tastes – they are selling a deeper connection to their brand promise, so that Guinness means more than just a pint – it STANDS for ideals we all aspire towards. 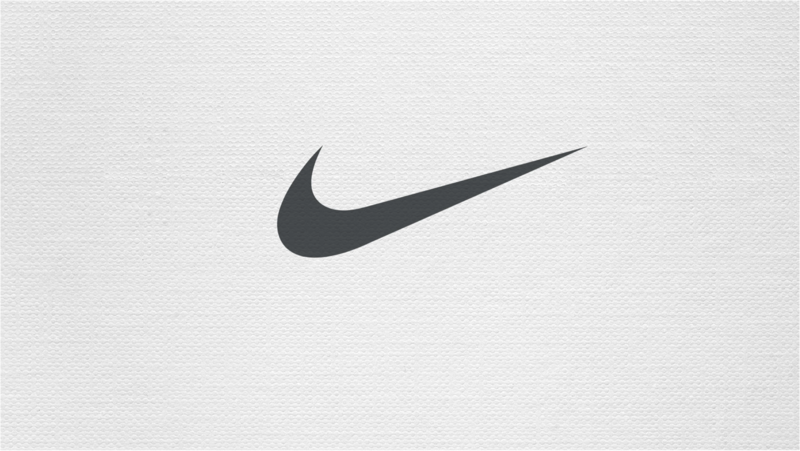 Now, one of the best companies in the entire world when it comes to branding is of course, Nike. They’ve long had a history of really creative advertising that also communicates their essential truths. They are a brand all about accessibility – products for everyone – as well as celebrity athletes – with the underlying truth that YOU are just like an elite athlete. Their brand vision statement is that “if you have a body, you are an athlete.” And all of their brand AND product advertising connects to this ideal. This next spot comes from the Women’s World Cup and has a few powerful truths about what Nike is all about. Everything about this spot is brilliant, because the message is so clear, and wrapped up so well in execution. Notice that they used no game footage or clips of previous losses or wins, they just focus just the work and practice that goes into it, the practice, the “just doing it.” Because we ALL have to practice to be good, and that’s no different for the elite athlete. If you have a body, you are an athlete. That makes the brand accessible, reachable, do-able by anyone – we ALL do that, we ALL have to practice. There are no free passes here. At some point in the spot they shift the focus just slightly away from the stars who are “just like me” and incorporate younger players, girls, and it widens out to be a message about women, sports, and working hard and being strong. Of course, Nike isn’t the only sports brand that knows how to brand themselves well. Under Armour has built their company from the ground up in a shockingly short amount of time to become the #2 sports apparel company in the world. Yes, they make great products, but they also are fantastic at building and expressing their brand – which they do a little differently than Nike. Their recent campaign “Rule Yourself” featuring Michael Phelps (and many other athletes) swept through the Cannes Lions awards this year (created by their agency Droga5). Like Nike, this commercial isn’t selling product as much as its selling a mentality – the hardest working athletes use our products. And while both Nike and Under Armour use famous athletes, they do it a little differently. UA has a more raw feeling for how they express their brand and use their stars. One tiny detail I love is that Phelps has a beard in this campaign. I’ve never seen him with a beard, but it adds a certain degree of raw authenticity – I guarantee there was probably several conversations about to beard or not to beard Phelps, and I think it somehow makes the spot feel less corporate and more rugged – and by proxy, it makes their product and brand feel tougher to me too. Anyway, pay attention to this spot, and notice how the product is shown, and the feeling you get about the brand when watching the commercial. I also love the music choice – it’s not a conventional rock track or hard driving song. Juxtaposed with the footage of him working hard, it makes the brand stand out in an unexpected way. Like Nike, there is no footage of him winning Gold medals in competitions, but it definitely elicits a different response than the Nike ad. Nike’s ad made me want to go and play soccer, it was fun and relatable and motivational (“Just do it”). Under Amour’s ad didn’t make me want to go swim laps because it looked really hard – but it did make me feel like that if I use their product in my own training, maybe it might make me feel a little more like a badass Olympian. Two different approaches that use athletes in a relatable way, but expressed very differently. What’s interesting is that UA’s vision is to “empower athletes everywhere” which isn’t THAT different from Nike’s, ultimately. So let’s talk more about how you can clearly brand YOUR company. I can’t promise you’ll be the next Nike, but you can learn some lessons from their brand and apply it to your own company. If you are part of a larger team, or a company – basically, if you’re part of anything more than a one-man-band, and you want to make sure your brand comes through, how do you best go about branding yourselves? Here are some key things to consider when you are building your company, or creating a brand. One of, if not the most important things, is to determine what you stand for. That should be your vision, your mission statement, and how you position and differentiate yourself. It’s the foundation of everything that drives your company forward, a reason for existing that guides the actions of your organization, sets goals, and guides decision making. Now, in some cases, brands don’t always take publicly act like they take it seriously – which is part of their branding. Here’s an unusual example of another brand commercial, this time from MTV, which has always sort of prided itself on being the ‘anti-brand.’ Because sometimes the best brand work, even when pulled off decently, can come across pretty arrogantly. After all, you ARE just talking about yourself and finding a way to brag without bragging. And in MTV’s case, they are fully self aware of that fact, and embrace it pretty honestly and in a quintessential MTV way. In that example, the MTV brand really relies on its reputation and attitude to establish itself. And it uses the absurd to define it, which leans right into that brand that they have cultivated. They never stand still, they’re constantly trying to stay at the edge of cool, constantly evolving, which positions them as being cooler than most other brands in their space. So after you have figured out what you stand for, you want to also ask yourself: “what do you do best?” Or, at least, what do you do better than most others? It will be how you position yourself and differentiate. 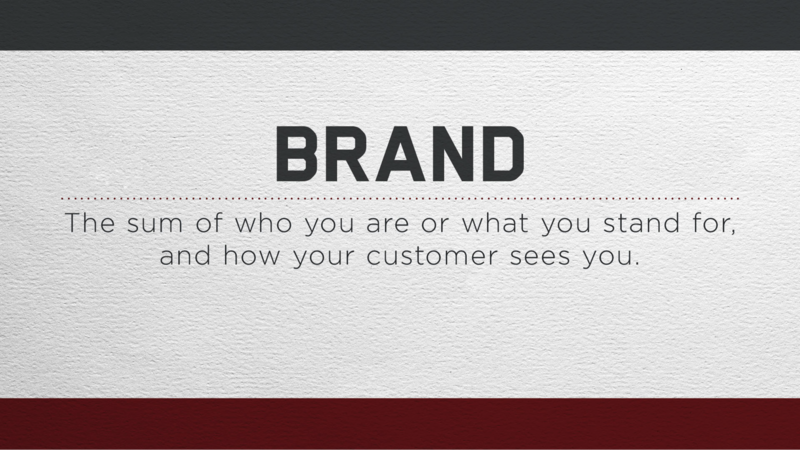 It’s the foundation, in many ways, of what your brand will stand for. Remember as you think about this what you do best – and what you want to do better. Branding is also aspirational, which we’ll talk more about in a minute. You should then communicate your core ideals in a concise brand philosophy or mission or vision statement and showcase that clearly and consistently when potential clients or viewers come to you. 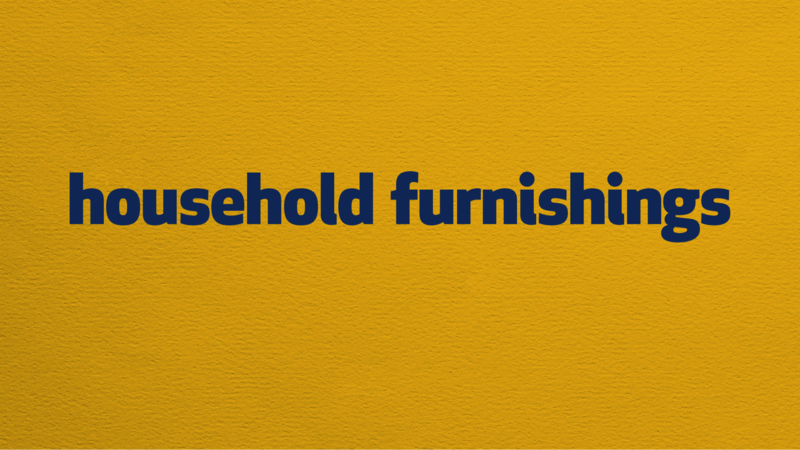 It’s not necessarily a tagline, it’s a statement that clarifies your brand promise. Our friends at the Music Bed do a great job of that. The first thing you see when you go to their site is the large statement “licensing relevant music” and then “curated content for the exceptional creative.” It’s clear, simple and differentiated – and who doesn’t want to think of themselves as an exceptional creative? Knowing yourself and figuring out how that’s different are the key components – especially when you’re in a very crowded marketplace, like is the case with music licensing libraries. And in a very similar case, another brand in a highly competitive category that we all use every day and something that is a natural source of inspiration and branding is, of course, toilet paper. There is a whole series of these spots if you haven’t seen them – giving inanimate bathroom objects a voice about the unspeakable things they’ve seen. But it does stand out as a product spot that is about a brand – a brand “designed to be forgotten.” All jokes aside, make no mistake this is a branding spot. You’re not going to necessarily run to the store and buy a 12 pack of Quilted Northern tomorrow. But their brand WILL be in your mind. And maybe you’ll try it. But if you don’t tomorrow, you still have an awareness of what their brand is because the creative was so unexpected. 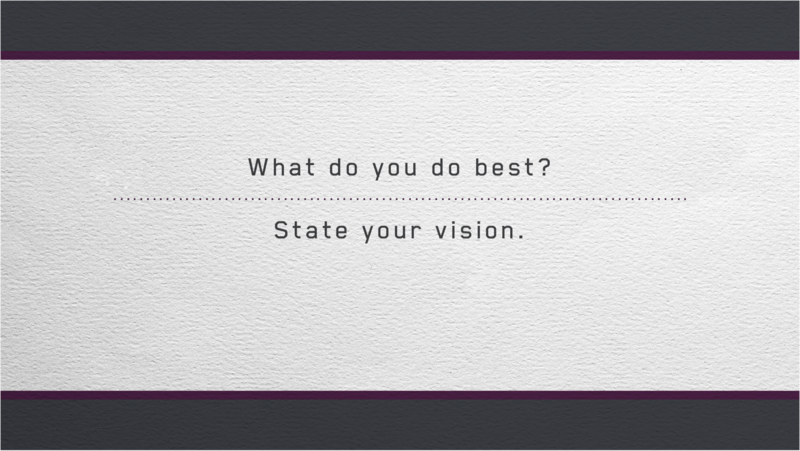 So – let’s go back to stating your vision. Once you have stated your vision – it’s time to express it creatively. 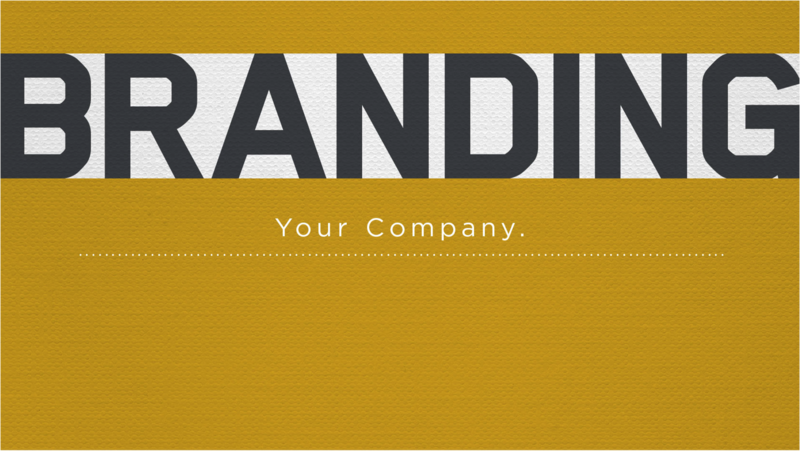 And that takes us to our next important tip – branding and design consistency. So you have your brand vision, what you stand for, and your branding elements – voice, tone, logo, look. 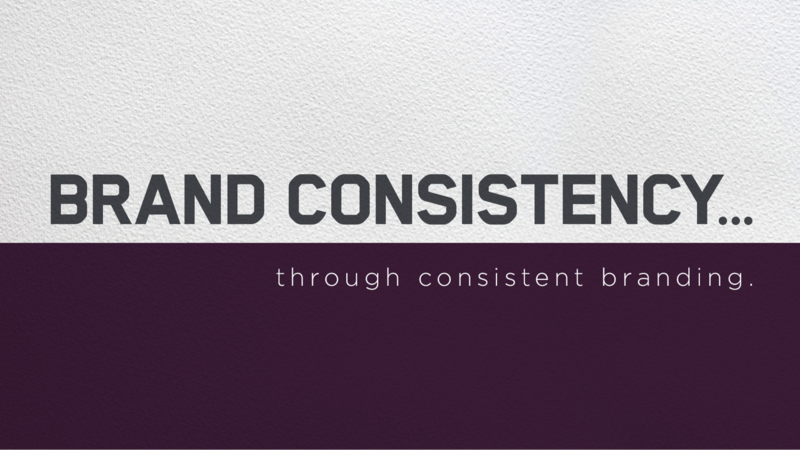 Because for a brand consistency to stick – you have to stick to it consistently. Because so much of branding is not only building an expectation from your consumer, and then constantly living up to it in every single execution of everything you do. And that doesn’t just mean the quality or the look of your work, but all of the branding elements that surround what you do – logos, colors, layouts, treatments, even the video slate in the countdown to your promo! I have a fun and remarkably easy quiz that demonstrates the power of branding beyond the product, and it’s all about color. Ok, so look at these two slides, and think about what the brand is that the slide represents. Easy, right? 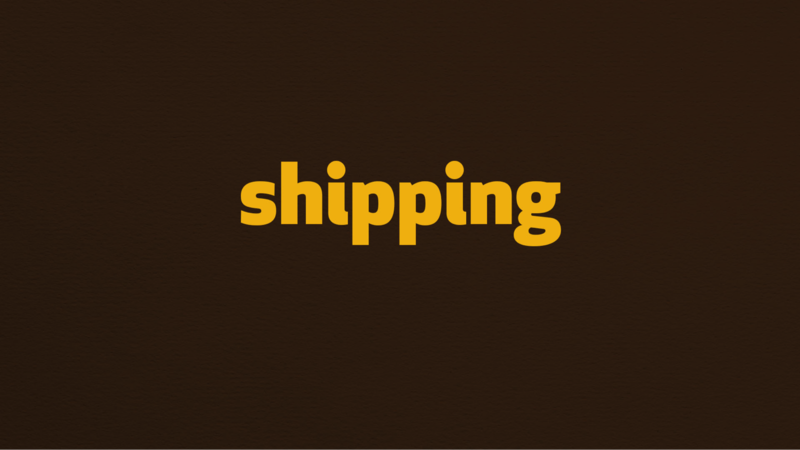 It’s UPS, Hertz and Ikea – of course. These brands have hammered those colors over and over and over again over a series of years and years. This proves that brands aren’t JUST about emotions, they are about design and visual expression as well. Now, I’m not saying that if you keep the same logo and colors for your brand for a long time you’ll be like Coke, because you probably aren’t spending hundreds of millions of dollars on marketing, but it will help to define your brand look and aesthetic and then use it over and over again. Think about how clients or viewers see your branding, and make sure you have a clear and consistent visual language to communicate it. It’s critically important to also remember when defining your brand, or even just defining what a brand IS, to remember that Brand shouldn’t just be what you ARE. It should also be aspirational – should define what you want to be. Make sure that the brand promise constantly has you REACHING for greater heights. The best brands don’t just focus on the product, but on what the product provides to their consumer, how it impacts them or makes their lives better. And what is often the best way to do that? EMOTION. 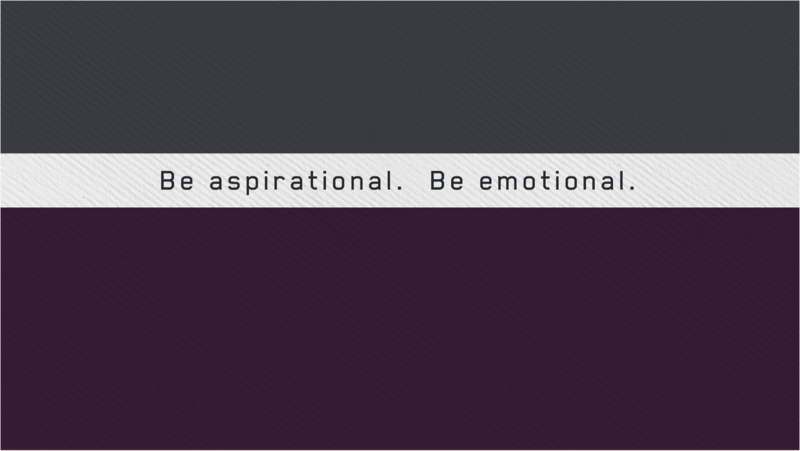 Emotion will lift your brand higher than anything else. Don’t be afraid to pull that string. And if you’re making a brand film for another company – what are ways you can do that for your client that will really strike a chord with your audience? This next film is one of my absolute favorite pieces of creative, and it wonderfully demonstrates the power of emotional branding. I love that spot, and yes it’s for an British department store chain. But the brand is not just “We sell awesome stuffed animals.” It’s really the promise that “WE WILL MAKE YOUR DREAMS COME TRUE AND MAKE YOU CRY ON CHRISTMAS MORNING!! !” If you don’t have kids, this promo may not speak to you as strongly, but having a young son at home who loves stuffed animals, seeing this commercial doesn’t just make me want to buy a stuffed animal from John Lewis, it makes me want to be their customer because their values are like mine – we want to make our kids happy. That’s the power of effective branding. And the emotion you use in your brand communications can be sweet and touching like Monty, or something entirely different, even irreverent and unexpected. Fiber One – they make granola bars and cereal, but they’re a brand that doesn’t take themselves too seriously. Now, a sense of humor is not what I’m personally looking for in a granola bar, it’s probably taste – but that’s ok. Remember, branding is the long game – it’s establishing yourself with the hope and goal of establishing loyalty for the long haul. I know more about what this brand appreciates, and maybe next time I’ll pick it at the grocery store if I have a few options – this one could stand out because I remember that fun brand advertisement. They’re trying to build a relationship using branding, rather than promising low-fat or big-taste, which is a way to stand out in a cluttered category. It’s a great example and a great reminder that everything you do – either for yourself or your client should feel attached to a bigger brand promise because it gives the viewer or the consumer an expectation of what they’re going to get. It’s a pact with your audience that there is an expectation that they have, and people rely on their expectations and habits to inform their decisions. You want to deliver them exactly what they want, while keeping the way you do it unexpected and surprising. It’s always that balance of satisfying the expectation but delivering on it unexpectedly. We have seen that in many of the examples of the spots in this post thus far – Quilted Northern, Under Amour, etc. So, sometimes your brand communication should just be a mirror of what the consumer perceives about you already. Here is an example of that. It’s a very simple spot for a brand that knows what it is, and its brand strengths, and leans right back into that, reinforcing what the customer already believes – in a clever manner. This spot successfully reinforces that the brand is tough, nostalgic, American and macho – everything we want and expect from Dodge. As I said before, it’s that balance of satisfying the expectation yet delivering on it unexpectedly. Here’s another example from the perception-is-reality camp – and like the Dodge spot, it waits until the end before revealing WHO the brand is, but it is a nice little surprise that is the perfect payoff to how this brand’s audience sees the world. I love how they used Jesse Pinkman from Breaking Bad as the narrator there, a nice little easter egg. But again – your expectation about Weight Watchers is of course all about food and dieting, but they put the twist in there that food manufacturers are the drug dealer, and you’re the one who must say ‘no’ to them – so they aren’t trying to sell Weight Watchers as something other than a diet brand. But they are delivering on that brand promise in an unexpected manner creatively. 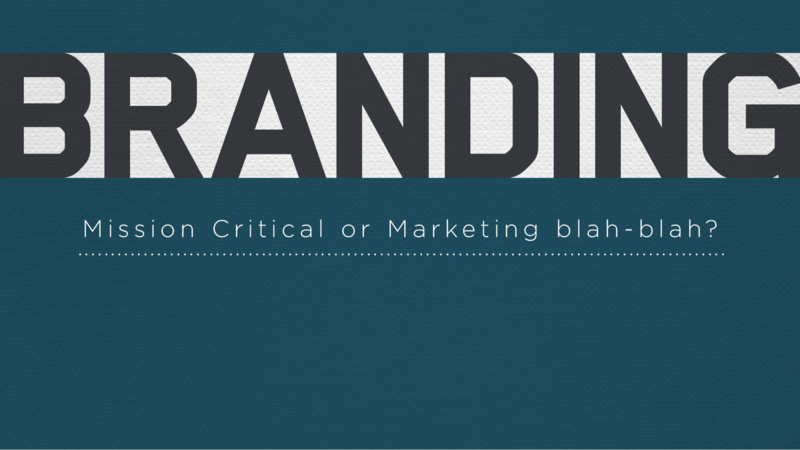 So we covered a lot of ground in this first post in the series on branding. Looking at some of these big, classic brands, there is a lot to be learned. Remember that there is no more important way to be remembered and to make a connection with your audience than by having a strong brand, and leaning on it consistently. Be aspirational, be emotional, and then find a way to deliver on the audience’s expectations of your (or your client’s) brand in an unexpected manner. There’s a science to branding – understanding what makes your unique, what makes it special, and who your target audience is. The key is taking that science, and adding the art of creativity to bring it to life in a memorable manner. In the next post of this two part branding series, I’ll talk a little bit about the National Geographic brand, and focus on the brands of the filmmaking partners, agencies and production companies we work with – and why we work with them, based on THEIR brand promises. It’s pretty interesting to break them down and see how we have matched them up with our show campaigns. Thanks for reading/sharing the Client Blog with others – after all, the Client Blog brand is all about sharing insight and information – so I really appreciate your help sharing these posts!